Beatriz is from Málaga, an authentic Andalusian provincial capital located at the edge of one of the world’s biggest tourist booms, the Costa del Sol. She had been primarily a portrait painter (one of Andalusia’s finest) for years when she decided to expand her repertoire and, along with her compañero Eduardo Guille (see below), came to my studio to try printmaking. Already an accomplished artist she quickly started turning out colorful and creative solarplate prints at a professional level. Shortly after returning home she and Eduardo exhibited in Málaga the prints they had made with me. Not only was the show successful in terms of print sales, but it resulted in a series of commissions for editions. Eduardo was a bit skeptical at first, but soon fell under the spell of solarplate printmaking. As his images were already digital, it was quite straightforward to adapt them for reproduction on solar plates. It was the first time I had worked with a photographer and I was delighted with the results. Social note: Eduardo and Bea were subsequently married. Viven felices y comen perdices. County Wicklow artist Catherine Ryan came for two weeks in the summer of 2006 and I enjoyed her stay immensely, both for her artistic expertise, her colorful work and her wonderful sense of humor. 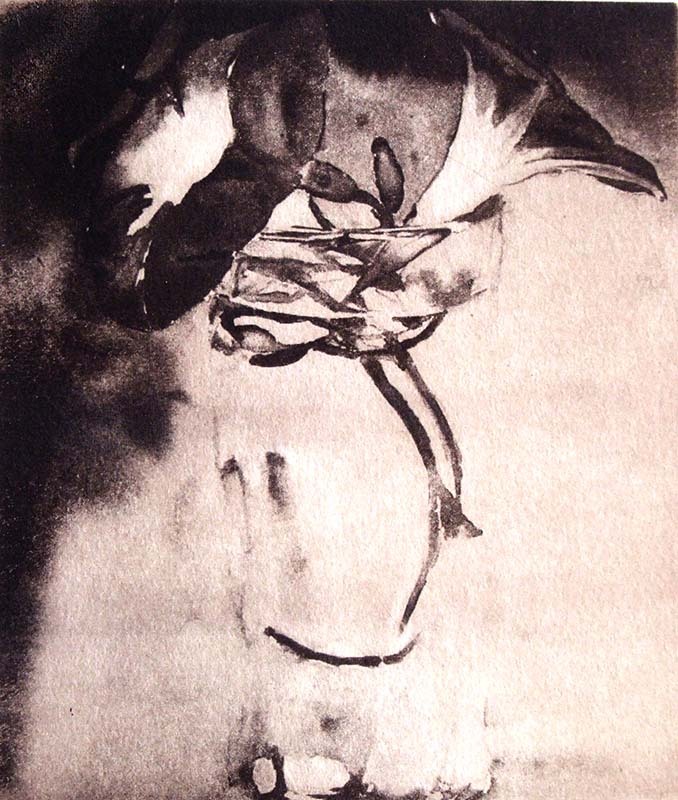 Catherine worked with both solarplate and liquid metal techniques, as well as dedicating some time to creative printing techniques such as chine-collé and a la poupée. From the visitors book: “This printing course has been an exhilarating experience for me. Not only is Maureen a wonderful printmaker but she is a very focused and generous teacher. I shall be going home bursting with techniques and ideas to explore and develop on my own. Cathy Naro first came to work with me in the summer of 2011, then returned with her husband, Mike, in the spring of 2012. Cathy stands out as the artist who, besides getting a firm grip on solarplate printmaking, got the most out of Spain while she was here. Due to her initiative (leaving free time on both ends of her stays) and good luck (She and Steve coincided with an authentic flamenco performance by some friends of ours and got to go backstage with them after the show.) Cathy writes poetry and while she was here she was inspired to incorporate poems into her solarplate prints. Here are some photographs. Love seeing the variety of art, and still on my bucket list for a visit some day! !